Tottenham Hotspur vs Borussia Dortmund predictions for Wednesday’s Champions League clash at Wembley. Tottenham look to make full use of the home advantage when they face Borussia Dortmund in the first leg of their Champions League tie. Read on for all our free predictions and betting tips. Tottenham Hotspur may have only just scraped through their Champions League group earlier this season, and while they may not be frontrunners for the greatest prize in club football, they are certainly not a team to be taken lightly at the moment. 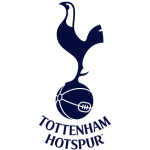 They beat Leicester 3-1 at Wembley on Sunday to keep them on the outskirts of the Premier League title race, and after being eliminated from both domestic cups, Mauricio Pocchettino will be eager to keep their hunt for silverware alive against Borussia Dortmund. #OddsOnThat Special For ALL Customers! Spurs are certainly in decent shape to get over this hurdle. They have won 11 of their 15 competitive matches since the end of the group stages, and their triumph over Leicester at the weekend made it 3 wins on the bounce. Borussia Dortmund aren’t exactly underdogs here though. The German giants will be disappointed to have somehow relinquished a 3-0 lead over Hoffenheim at the weekend, drawing the game 3-3 thanks to 3 Hoffenheim goals in the last 15 minutes, but they remain at the top of the Bundesliga as they look to prise the title away from dominants Bayern Munich. Unlike Spurs, Dortmund sailed through their group stage campaign with ease. They only just outperformed Atletico Madrid to take the top spot in the group, but they finished some 7 points ahead of 3rd placed Club Brugge and their progression to the knockout stages was rarely in doubt. Still, the last few weeks have been tough for the visitors. They dropped points against both Eintracht Frankfurt and Hoffenheim in the Bundesliga, with these 2 draws sandwiching a penalty defeat to Werder Bremen in the DFB Pokal. 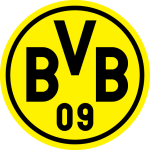 Borussia Dortmund will be keen to get back on track as they hunt for some silverware of their own. One thing we can hope for is an entertaining match. Spurs have found the net in a massive 23 of their last 25 competitive games, but they have only kept 1 clean sheet in their last 7 outings too and now face a Dortmund side who have scored 12 goals in their last 4 outings in all competitions. The visitors have scored in all but 2 of their last 15 Champions League outings, but have also conceded in 9 of them. Spurs, meanwhile, have seen both teams find the net in 7 of their last 8 in the competition, making a Both Teams to Score bet look very attractive indeed. We do think Spurs’ form should be enough to get them a crucial first leg win though, so we’re also opting for a 2-1 correct score prediction. Son Heung-min has been a driving force behind Spurs’ success this season, and especially since Harry Kane’s injury. The South Korean scored again against Leicester to make it 10 goals in his last 11 appearances for Spurs, including a goal in each of his last 3 outings. We’re backing him for our anytime goalscorer predictions here. Borussia Dortmund have reached the knockout stages of the Champions League for the fifth time in their last six campaigns whilst this is the first time Tottenham have reached the knockout phase in consecutive seasons. No team has scored more goals in the last 15 minutes of Champions League games this season than Borussia Dortmund (5). Their bench has also been the most clinical with five goals coming from substitutes. Harry Kane has been directly involved in 48% of Tottenham’s goals in the Champions League over the last three seasons (16/33), scoring 13 times and assisting on three occasions. Raphael Guerreiro has scored four of Borussia Dortmund’s last five goals in the Champions League. He is the top Portuguese scorer in this season’s competition (4 goals).